This is not the latest version of JetBrains WebStorm available. Free 30 day Trial. Beyond that you need to purchase a license. /InstallDir:- Installation directory, defaults to the 'Program Files (x86)\WebStorm*' directory. The folder should be empty. Example: choco install webstorm --params "/InstallDir:C:\your\install\path"
This discussion is only about JetBrains WebStorm and the JetBrains WebStorm package. If you have feedback for Chocolatey, please contact the google group. 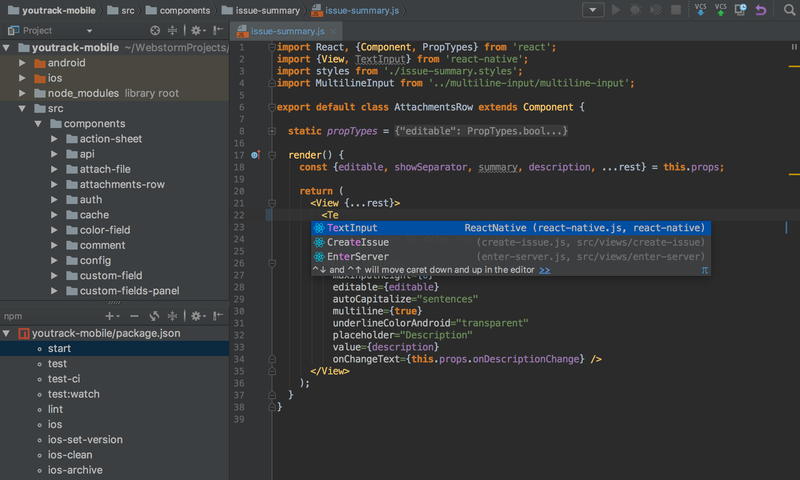 Tell us what you love about the package or JetBrains WebStorm, or tell us what needs improvement. Deployed from e27d7a207f. You are on web.3. UTC time is currently 21 Apr 2019 23:20:23 +00:00.